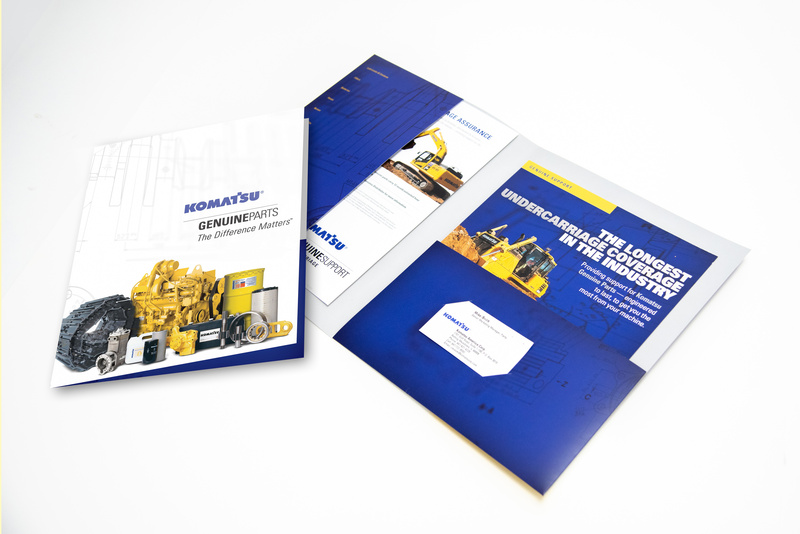 THIEL created a freshly impactful and consistent expression of the Komatsu Parts Division brand. 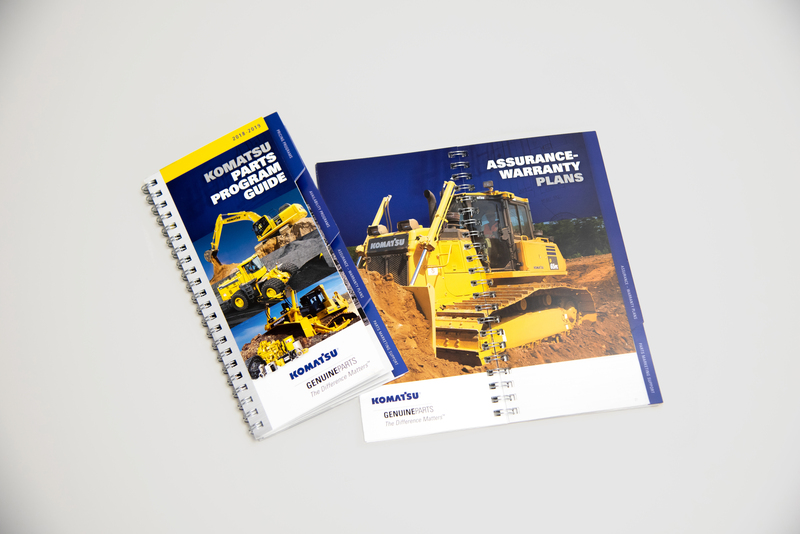 Project a well-organized, easily understood Komatsu Parts Division brand structure to its dealers. Generate strong brand recognition among end-user customers. 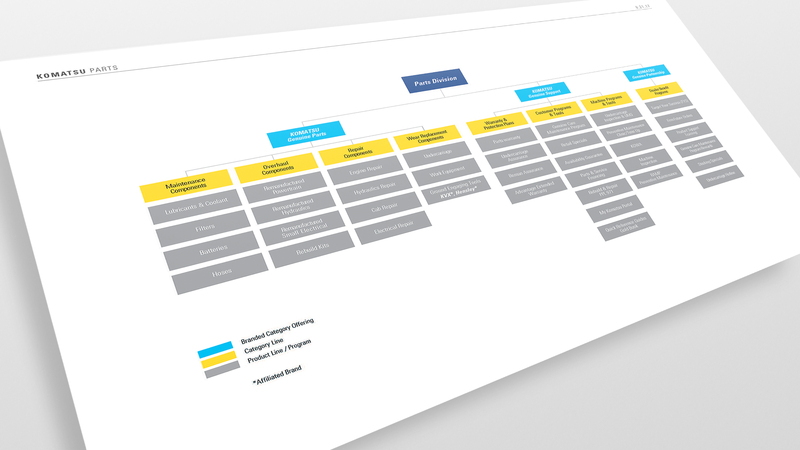 Restructured the organization and nomenclature of the Parts Division’s business categories and lines of products, services and programs to clearly identify the division’s array of offerings. 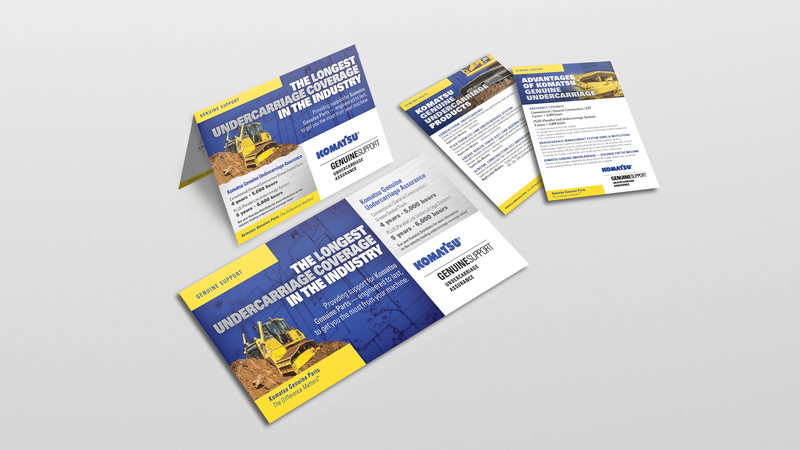 Unified the visual identities of the division’s three business categories by designing a consistent identity architecture that structures the Komatsu logo along with typography incorporating the common descriptor word, “Genuine,” to create a family of uniform ‘stamps’ that clearly distinguish the categories of business. Designed a distinctive graphic look and feel that unifies all Parts Division marketing communications and product packaging. 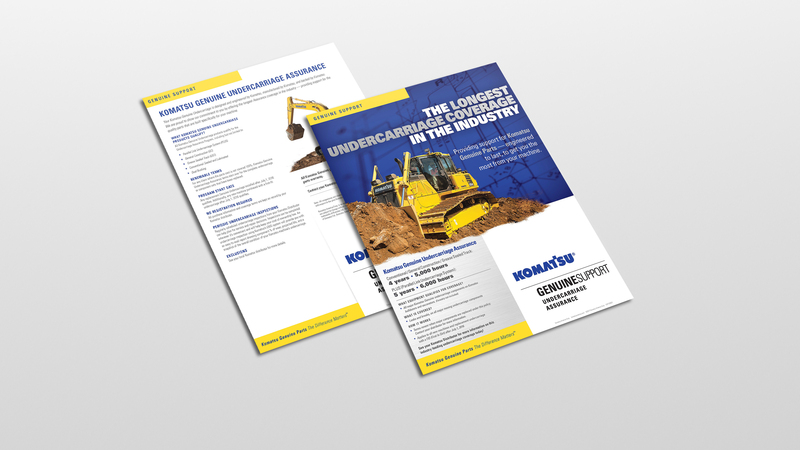 The design philosophy capitalizes on creative opportunity while adhering to Komatsu brand standards. 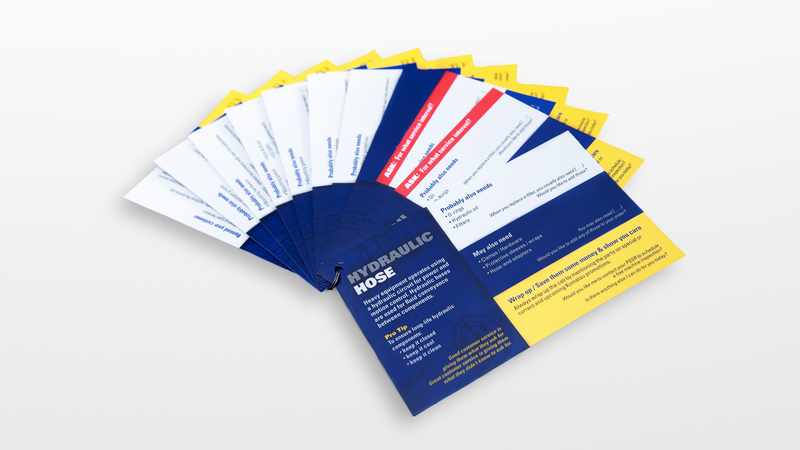 Designed print and digital format templates that provide a suite of marketing communication platforms used to promote parts, services and programs. The templates designate messaging real estate, and feature distinctive uses of typography, imagery, texture and tonality. Created standards guidelines governing use of the developed branding assets. 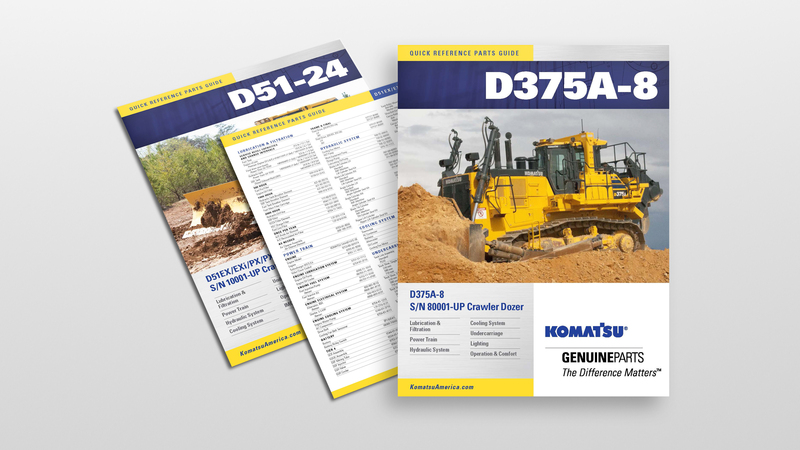 Branding assets developed by THIEL have enabled the Komatsu Parts Division to clearly distinguish its extensive offerings to dealers and end-user customers. 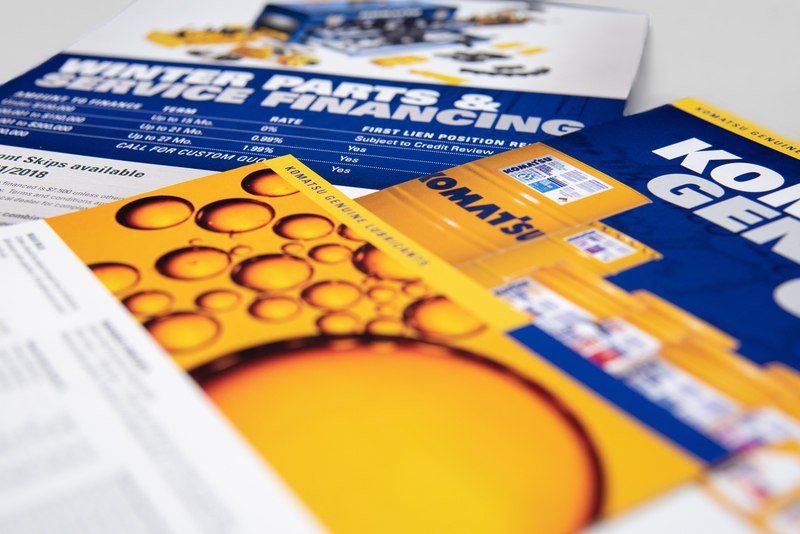 Print and digital format templates ensure consistency and generate high recognition and equity value. The templates also save money and time necessary to plan, create and deploy marketing communications.